THE TOP SPOTS for policewoman and policeman of the year were snatched by youthful determination on the one hand and by a veteran in the Information Technology (IT) department on the other. 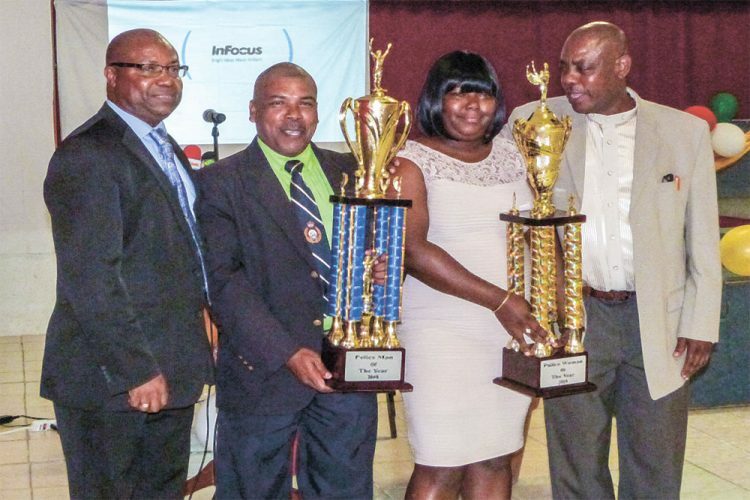 The awards were handed out last Friday at the Annual Police Award and Retirement Ceremony, hosted by the Police Welfare Association (PWA) and the Royal St Vincent and the Grenadines Police Force (RSVGPF). A total of 61 awardees and 17 retirees were recognized at the ceremony, held at the Russell’s Auditorium. To applause, it was announced that WPC 599 Romancia Jordan had copped the award for Policewoman of the Year, and PC 377 Angello Duncan for Policeman of the Year. Before this, Jordan, who has been in the police force for three years, had already taken two other awards, an award for the Calliaqua police station, and the overall winner in the Eastern division. Her mantra is that hard work brings success, and Jordan lives putting her best foot forward. “I would like to thank Almighty God and family members for always encouraging me, my close friends, the Commissioner of Police, the other members of the police force who voted me to be policewoman of the year,” Jordan responded. The Policeman of the Year, who also received the award for the IT department, was not present at the ceremony as he was sick, but he was contacted on Wednesday. The Corporal of 16 years disclosed that the award, which he received for the first time, was unexpected. Duncan has been stationed at the IT department since he was enlisted, and he feels happy to have accomplished the achievement. 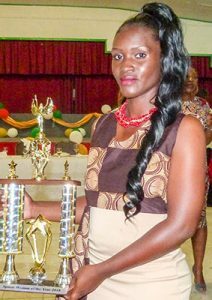 The Sports Policewoman of the Year joined the police force in 2017, and has been playing on the RSVGPF netball team, and played in the National Tournament this year. Her name is WPC 353 Damuris Dopwell-Browne. She expressed gratitude to her team-mates and coach, and stated that her goal for 2019 would be to win the national trophy. PC 178 Kenneth Dember, the holder of the title of Sports Policeman of the Year is no stranger to achievements on the field. 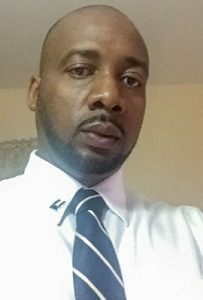 Dember has a notable history as the Captain of the Cricket team for RSVGPF, and has led his team to victory many a time, and has even gained regional recognition by being the only player to gain selection on the Windward Islands Cricket team. Among those speaking at the ceremony were Commissioner of Police Colin John, and Minister of National Mobilization, Frederick Stephenson. The Commissioner also thanked his force, while noting that the number of murders had decreased from 39 at the same time in 2017, to 34. He also said that of the last 10 murders, seven arrests had been affected. 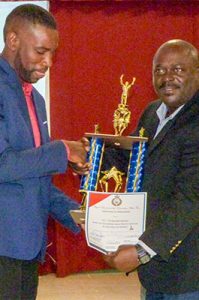 Significantly, the Fire Department was awarded for best customer service, and Corporal 209 Philbert Chambers was specially awarded for his work at the Questelles Police Station. – North Western; WPC 599 Romancia Jordan – Eastern; and for the Grenadines, WPC 244 Cliseena Butler.